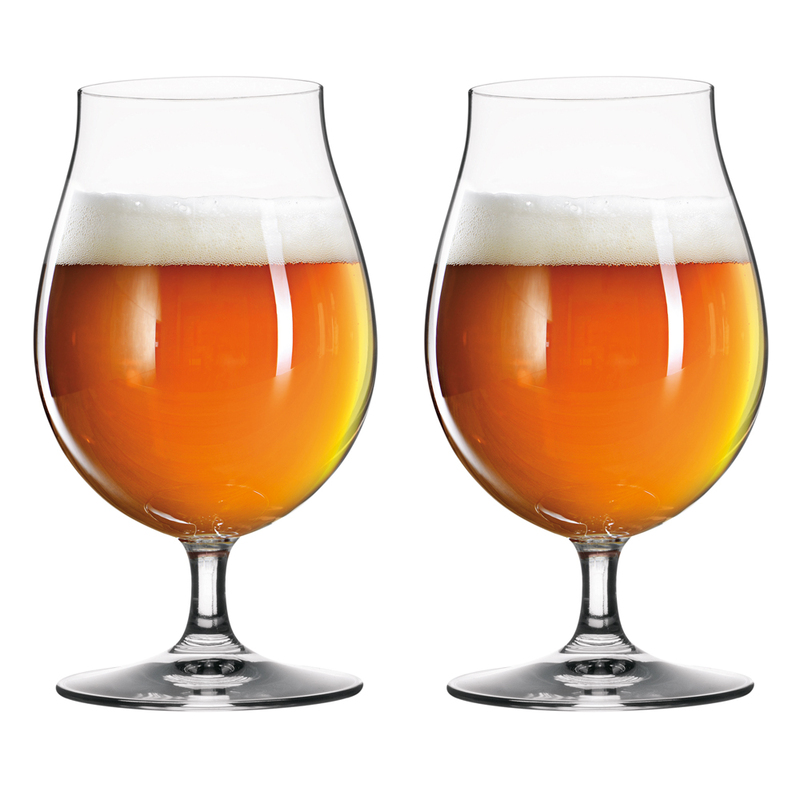 Spiegelau glassware is nearly as old as beer itself. Amazingly, they can trace their origins back as far as 1521! Now, almost five hundred years later, Spiegelau has matured into something truly unique. Spiegelau glass is known all over the world for its clarity and quality; experience for yourself the sheer beauty five hundred years of experience makes. Presenting Spiegelau Beer Classics – the range designed for lovers of beer and for those among us who only settle for the very best. Each Beer Classics glass is designed for brilliant clarity and exceptional durability. Best of all, these glasses will stand up to everyday use, including a decent run through the dishwasher. Improved breakage resistance and brilliant clarity. Open mouth design allows for an intense release of flavours. Designed to enhance the hop flavour in pilsners, as well as the malty character in bold beers like strong stouts. Presented as a set of two in a Speigelau gift box.